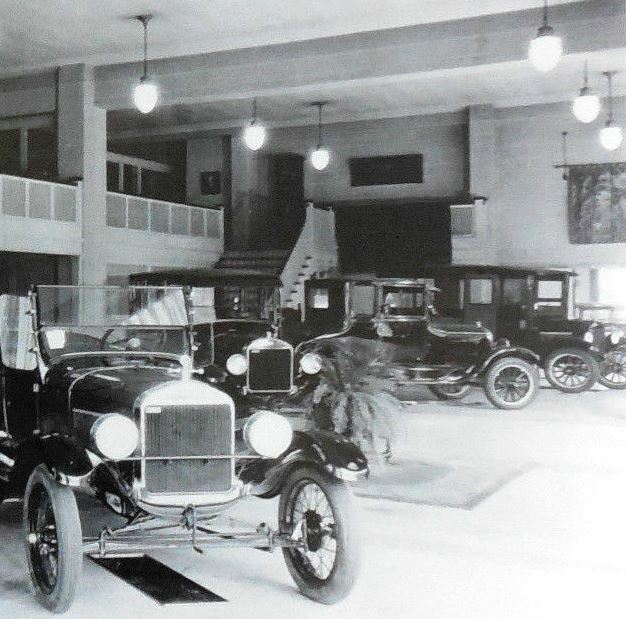 The picture you posted is of a late 1928 or early 1929 Model A Ford "Special"coupe. 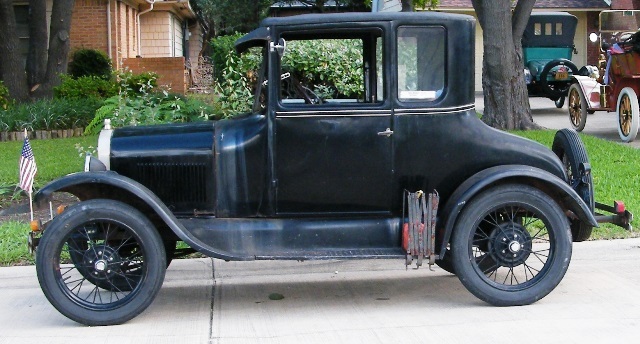 '28 - '29 Model A for sure - notice the 21" wires on the rear and the 19" on the front for that "racy" look ! Justin -- The engine number on the title is correct for a '27 Ford, but as the others have said, the pic you posted is of a Model A. You can go to the "Photos" link on the MTFCA home page to see what a '27 Coupe looks like. 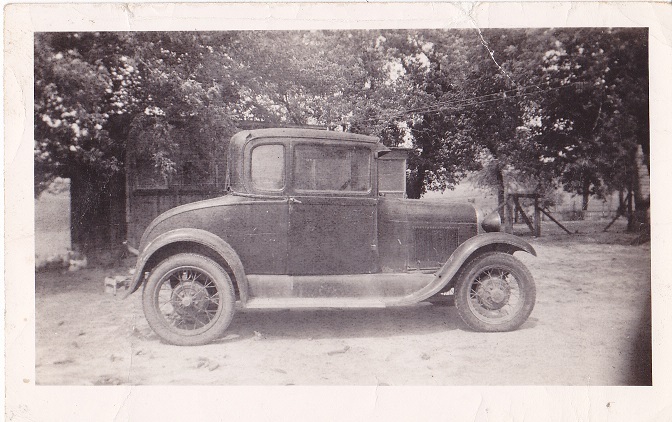 Maybe that would help you to find Grandpa's car in the stacks of old photos. Good eye on the wheel sizes, Steve. Justin, you are correct on finding the car is next to impossible or like "finding a needle in a haystack". I do not think the DMV will give you much help?